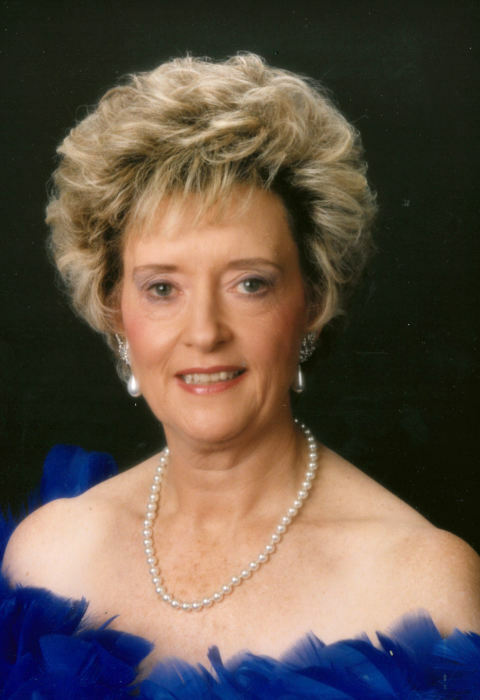 Lorena McGarvey, 81, Ooltewah, died Tuesday, September 4, 2018 at her home. A lifelong resident of Hamilton Cty., she was a 50 year member of the Lookout Valley OES #483 and also held membership with LAFRA. Mrs. McGarvey was a member of Silverdale Baptist Church and was preceded in death by her son, Raymond E. McGarvey and her parents, Cicero and Stella Green. She is survived by her husband of 58 years, Joseph William McGarvey; daughter, Deborah A. Chippoletti; son, William E. McGarvey all of Ooltewah; brother, Darrel (Donna) Jones, Trenton, GA; five grandchildren, William J. (Amanda) McGarvey, Ooltewah, Joshua McGarvey, Chattanooga, Matthew (Shelby) McGarvey, Ft. Oglethorpe, GA., Alison and Aaron Chippoletti both of Chattanooga; six great-grandchildren, Malayah Chippoletti, Mason McGarvey, Bailey McGarvey, Mace Chippoletti, Moriah Chippoletti and Journey Chippoletti. Services will be held Friday at 10 am in the funeral home chapel with Rev. Michael Steffey officiating. Burial will follow at the Chattanooga National Cemetery. Visit heritagechattanooga.com to share condolences to the family and view the memorial tribute. The family will receive friends Thursday from 4-8 p.m. at Heritage Funeral Home, 7454 E. Brainerd Road.